Since 2010 «Zipfelbier» is brewed by three beer-loving non professionals in a microbrewery in Muttenz, Switzerland. On 27. 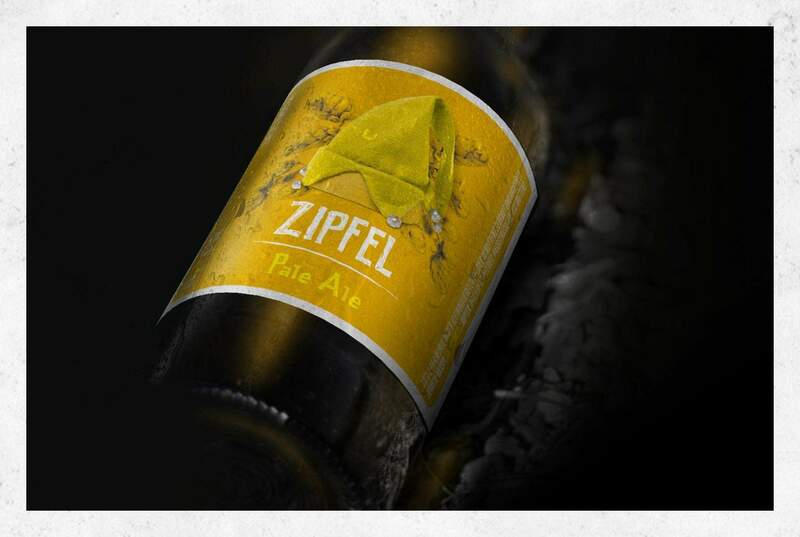 July 2012 «Zipfelbier Pale Ale» won the highest marks in a local beer survey by the «Basellandschaftlichen Zeitung» a well known regional newspaper. Stefan Schroeder from «Zipfelbier» contacted us to help them with their bottle design. 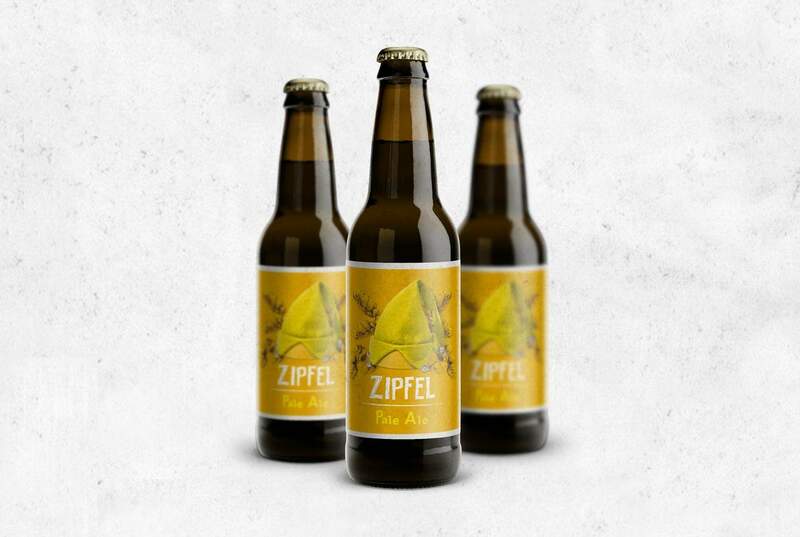 The first brief demanded three cohesive labels as «Zipfelbier» was not only brewing lager but also wheat beer and dark beer. 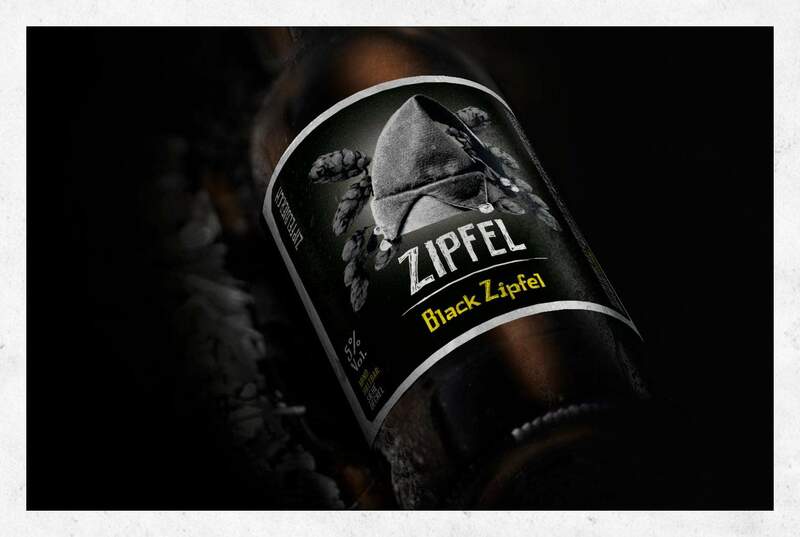 The visual concept for their labels is inspired by the name «Zipfel» which led to «Zipfelmütze» and stands for jelly bag cap. The microbreweries’ products slightly changed over the years and so did the label. These days there are still three beers brewed at «Zipfelbier» the Pale Ale and since 2016 the new Black Zipfel and Brownie beer. 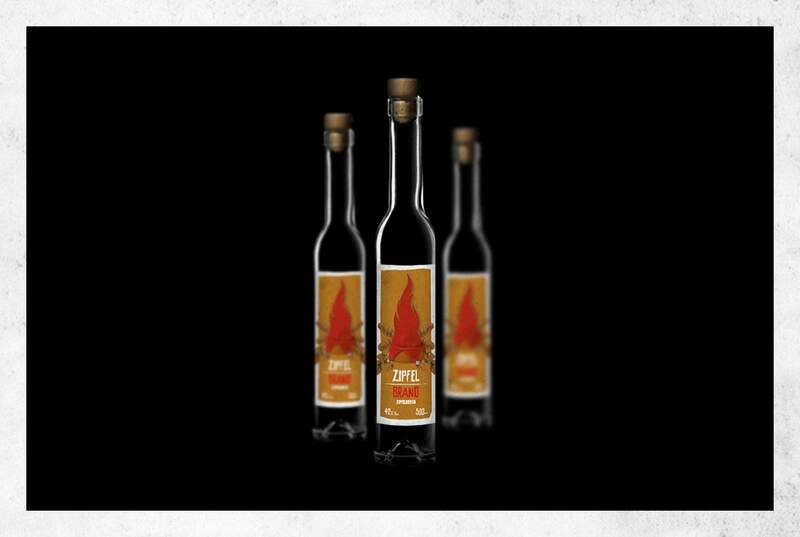 In 2015 there was also a limited edition of «Zipfelbrand» (schnaps) available.